The Pie Social (2009 – present) is ever popular with pies sold out! Get out your favorite pie recipes and share them by volunteering for our biggest fundraiser. The Dunsmuir Railroad Depot Historical Society has announced that the 10th Annual Pie Social that was scheduled for Sat., May 26, 2018 has been postponed. A new time and place will be reported at a later time. The Dunsmuir Railroad Depot Historical Society’s 10th Anniversary Pie Social is a special town event. Stay tuned for event details. How did this come about? Who is the Pie Lady? Pie Socials are an American tradition! Just Google “Pie Social” and you’ll find towns all over America holding their own pie event. And that’s what Phyllis Skalko, our Pie Lady, did in 2009 and that was the beginning of the Depot Society’s Pie Social event. During Dunsmuir’s Railroad Days in 2009, the 1st Pie Social had 26 bakers donating 46 pies. The 2010 2nd Annual Pie Social became part of the town’s Dogwood Daze event. That year 42 bakers donated 118 pies; sold out! 2011 : 51 bakers, 129 pies; 3 pieces left. 2012 : 71 bakers, 161 pies; sold out! 2013 : 73 bakers, 49 kinds of 172 pies; sold out! 2014 : 71 bakers, 43 kinds of 190 pies; sold out! 2015 : 85 bakers, 48 kinds of 175 pies; sold out! 2016 : 76 bakers, 55 kinds of 184 pies; sold out! 2017: 57 bakers, 41 kinds of 132 pies; sold out! All our pie bakers receive a “Pie Maker” ribbon each year and the heartfelt thanks from the Depot Society. 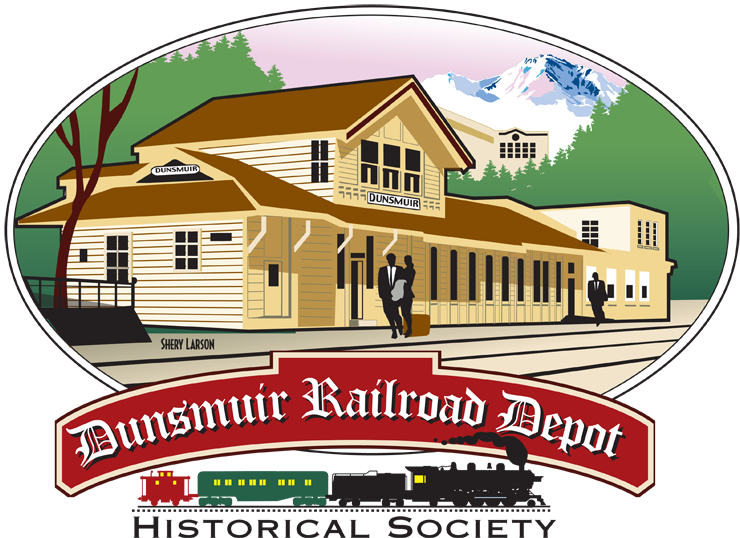 The Pie Social supports the Depot’s efforts in maintaining the Dunsmuir Amtrak Depot (the only Siskiyou stop) and the Dunsmuir Museum. The success of our Pie Social is due to our great pie makers, the pie gals in the bakery, the pie set-up guys (tents, bakery cases, tables, coffee and so much more) and our Pie Lady, Phyllis Skalko. How can you donate your pie(s)? Please call Phyllis, the “Pie Lady” (530) 235-0839 and she’ll add you to her list of pie bakers for this year’s 10th Anniversary Pie Social! Come for pies, pies and more pies May 26th in Dunsmuir! Look at more photos of our past socials! Thank you for sharing Rhonda! We love how this event brings so much joy. We are grateful for your kind words!